Super Bowl is just around is just around the corner,... and we’ve got chicken wings on special! Glenburnie Grocery wishes you a happy Super Bowl, with wings to celebrate or feed your sorrows of defeat! 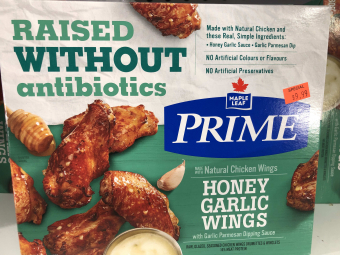 We’ve got Maple Leaf Prime Honey Garlic wings on sale for $9.99 a box. The wings have no artificial flavours, colours, or preservatives and the birds were raised without antibiotics. Only goodness!